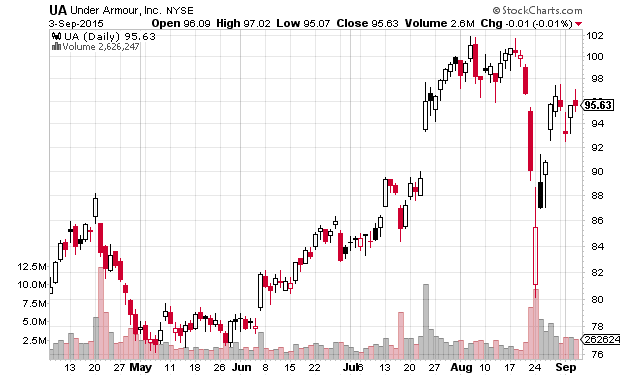 UA looks like the next NFLX bear flag about to break. UA is just as rich on the valuations. UA has a 90 PE and trades at 6 times sales. I'm going to short it on a breakdown below 95. Technically it looks like a rounding top formation. I usually don't trade these big stocks but the 10 day average day range is 4%. So odds are it will move 4% or much more on a volatile day.